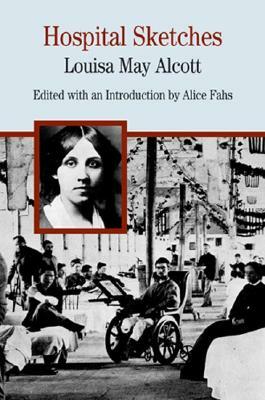 Several years before Louisa May Alcott created Little Women (1868), her most well known novel, she worked as a nurse at a soldiers’ hospital in Washington, D.C., during the Civil War. Drawing on that experience, Alcott wrote Hospital Sketches (1863), a vivid account that offers rich insights into women’s wartime roles, the shocking conditions in soldiers’ hospitals, the lives of the soldiers themselves, and the racial prejudice of the time. Part of a vast outpouring of popular Civil War literature published during the conflict, Hospital Sketches tells us much about mid–nineteenth-century literary culture and the ways in which the war was re-created in literature for the reading public in the North. Alice Fahs’s introduction supplies biographical, literary, and historical context for Alcott’s work. Illustrations, a chronology, questions for consideration, and a selected bibliography add to the volume’s value. ALICE FAHS is associate professor of history at the University of California, Irvine. Her book "The Imagined Civil War: Popular Literature of the North and South, 1861-1865" (2001) was awarded Honorable Mention for the 2002 Lincoln Prize. She has also published articles on Civil War history, gender history, popular culture, and popular literature.